M & D Buildings brings experience and expertise to your home renovation project. We are responsible for handling kitchen, bathroom, basement, exterior decks and fences, and so on. With qualified and experienced staff, our company is well-known for completing all aspects of home remodeling, roofing design and maintenance. We have built numerous homes for families in Mississauga and surrounding regions. In addition to this, we have built a reputation among our customers by focusing on quality and simplicity, along with today’s lifestyle and changing technologies. We understand that major renovation like additions and upgrades require a huge investment. We are committed to delivering quality services, maximizing the comfort and minimizing inconvenience. M & D Buildings believes in keeping homeowners happy and satisfy. That is why, our company has built relationships with suppliers and contractors to handle the projects from start to finish. Our team of commercial contractors Mississauga provides full-service to suit your needs and expectations. Kitchen renovation: No doubt, kitchen is the heart of any home. It is the place where you cook for your family and loved ones. We create modern kitchens to add comfort to your cooking. With amazing designs and appliances, we make your dream kitchen that reflects your style and standards. Bathroom remodeling: With beautiful bathroom, you can change your lifestyle and impress your guests. Our installers offer showers, spas, and custom flooring options to make your bathroom stylish and stunning. Basement Renovation: We will turn your basement into a gathering place where you spend quality time with your loved ones, play video games, watch movies, create a bar, and so on. Not only this, you can also create temporary or permanent residents. Flooring: Flooring can transform the entire look of your house. You can choose any style like Hardwood, Laminate, Carpet, Vinyl, Tile, etc. and our experts will deliver quality results. Garage: Install garage to keep your vehicle safe and protected from harsh weather conditions like rain, storm, sunlight, etc. You can also use it as extended storage or a home workshop. Our Engineering and Contracting Company has a team of skilled professionals who are highly trained, intelligent and dynamic leader. By understanding customers’ needs and requirements, our experts provide first class residential and commercial construction services. If we talk about the cost of the service, our prices are really competitive. We only believe in satisfying our customers, not making money. Hire our professional installers to receive professional and personalized services at highly affordable prices. Having years of experience, M & D Buildings offers Home Remodeling, Room Additions, Kitchen remodeling and a lot more. Our experience allows us to deliver exceptional quality work, at amazingly affordable prices. Our remodeling process is simple; it ensures that you will receive the highest quality service throughout the project. When you hire our company for home remodeling, we assure you that we will complete the entire project on time and within your budget. 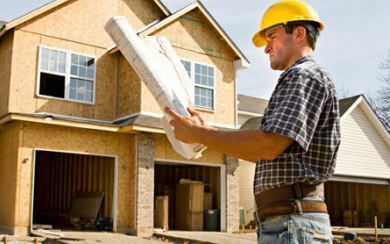 Whether you want to construct your dream home or you want to add a room, our experts will handle the entire home construction project and ensure it looks best for many years. The primary mission of our company is to be one of the best commercial contractors in Mississauga. To fulfill our mission, we really work hard with our professionals each day. Be it a project management, structural engineering, foundation, additions, building permits, commercial construction, demolition service, windows & doors, or interior & exterior painting, we create beautiful projects that go above and beyond customers’ expectations. If you have any query, then you can give us a call anytime. We look forward to have a face to face conversation with you. We are confident that you will enjoy working with our experts. Feel free to call us anytime.